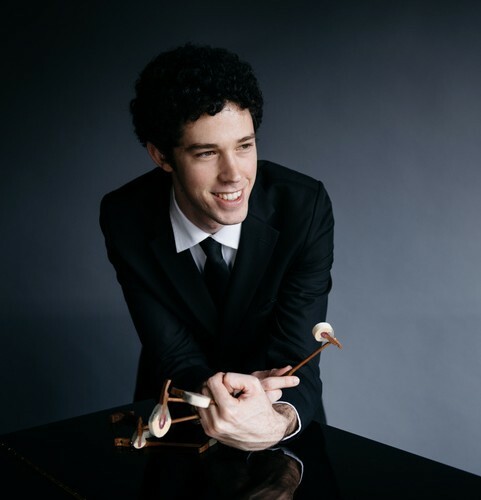 Hailed by The Washington Post as an artist of “formidable virtuosity and stylistic sensitivity,” pianist Tomer Gewirtzman has impressed audiences around the world. His performances with orchestra have taken him from New York’s Carnegie Hall (the Bartok Concerto No. 3 with the Juilliard Orchestra conducted by David Robertson), to Israel (with the Israel Philharmonic, Israel Symphony, Jerusalem Symphony, Israeli Chamber Orchestra and New Haifa Symphony Orchestra) to St. Petersburg, Russia (with the Mariinsky Orchestra) to locations throughout the U.S. (with the Charlottesville Symphony, Symphony Silicon Valley, the Aspen Concert Orchestra, the Shreveport Symphony, North-West Florida Symphony, Bucks County Symphony and South Arkansas Symphony). 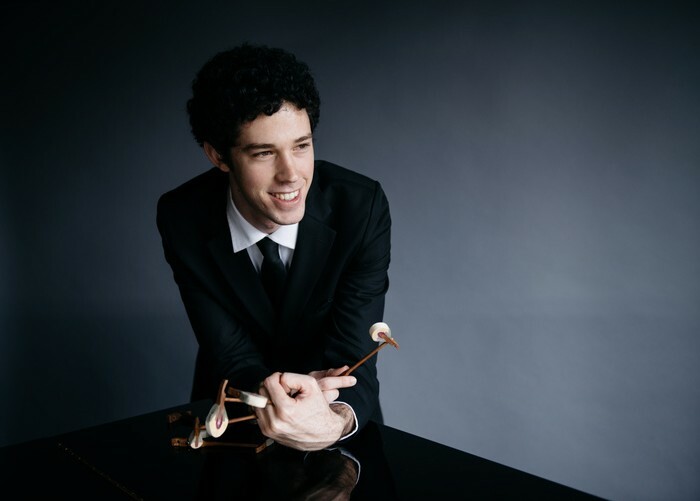 Tomer Gewirtzman was selected to perform at Carnegie’s Weill Recital Hall for the American Friends of the Israel Philharmonic, and at Lincoln Center’s Rose Theater in the America-Israel Cultural Foundation Gala honoring the memory of Vera Stern. 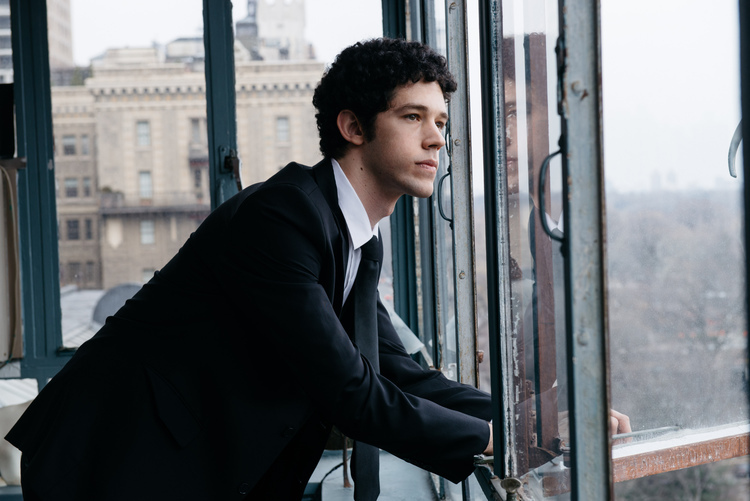 This season, he gives numerous performances and educational residences as a Fellow of Carnegie Hall’s Ensemble Connect and a recital at Carnegie’s Weill Recital Hall as Winner of Juilliard’s Leo B. Ruiz Memorial Recital Award. Mr. Gewirtzman’s busy career has also included performances with Symphony Silicon Valley, the Aspen Concert Orchestra, the Shreveport Symphony Orchestra, the North-West Florida Symphony Orchestra, and the South Arkansas Symphony Orchestra. Mr. Gewirtzman has performed at festivals in the U.S. including Bravo! Vail, Yellowbarn, the Aspen Music Festival, PianoFest, PianoTexas, Summit Music Festival, and New York’s International Keyboard Institute Festival, and abroad at the International Academy of Music in Italy, the Musica Mundi Chamber Music Festival in Belgium, Tel – Hai International Master Classes in Israel, and Germany’s Usedom Music Festival. At the 2015 Young Concert Artists International Auditions, he was awarded First Prize as well as five performance prizes. Other accolades include First Prize at the 2014 Wideman International Piano Competition in Louisiana, the Piano Prize and Audience Prize at the 2013 America – Israel Cultural Foundation’s Aviv Competition, Third Prize at the inaugural Midwest Piano Competition in Iowa in 2014, First Prize and a special prize for a commissioned piece at the 2010 Clairmont Competition in Israel, and First Prize at the 2010 Piano Forever competition in Ashdod, which gave him a full scholarship to attend master classes in the U.S. and an opportunity to perform as soloist with the Ashdod Symphony Orchestra. He has also won First Prizes at the Chopin Competition for Young Pianists in TelAviv, the Rig’ey See Piano Competition in Ashdod, the Pnina Zaltzman Piano Competition for Young Pianists in KfarSava, and the Tel-Hai International Piano Masterclasses Concerto Competition. After winning Second Prize at the International Russian Music Piano Competition in San Jose, he captured First Prize at the Aspen Music Festival Concerto Competition. He has received Top Prizes in other international competitions such as the International Keyboard Institute Festival Piano Competition in New York, Arte Con Anima Piano Competition in Greece, and the International Baltic Piano Competition in Poland. Last season’s highlights include the Bartok Concerto No. 3 at Carnegie Hall with the Juilliard Orchestra conducted by David Robertson, as winner of Juilliard’s Concerto Competition; debut recitals at the Isabella Stewart Gardner Museum, Paradise Valley United Methodist Church, Morning Musicales, at the Aaron Copland School of Music at Queens College, and on the Dame Myra Hess Memorial Concerts; the Brahms Piano Concerto in D minor with the Bucks County Symphony, and the Medtner Piano Concerto No. 2 with Russia’s Mariinsky Orchestra in St. Petersburg. Tomer Gewirtzman started his musical education at the age of 8, with Ms. Raaya Shpol at the Rubin Conservatory in Haifa, and continued his piano studies with Prof. Vadim Monastirski from the Rubin Academy in Jerusalem. From 2008 to 2011, he served in the Israeli Defense Forces, in the “Outstanding Musician” program, where he combined regular military service, with extensive music studies at the University. He completed his bachelor’s degree at the Buchmann-Mehta school of music in Tel-Aviv, in the studio of Arie Vardi. He earned his Master’s degree and Artist Diploma at the Juilliard School, working with Maestro Sergei Babayan, where he received the prestigious Kovner Fellowship award.